Since I first saw Hope Hummus had a Chocolate Hummus I was on the hunt for it, only to find out that the only stores here that carried their hummus couldn’t get in the chocolate one. What I found interesting is that so many of the people I asked at Whole Foods and other stores thought it was an odd combination. To me it sounded delicious! Once I started explaining the things I would pair it with they were like hmm maybe that does sound good. 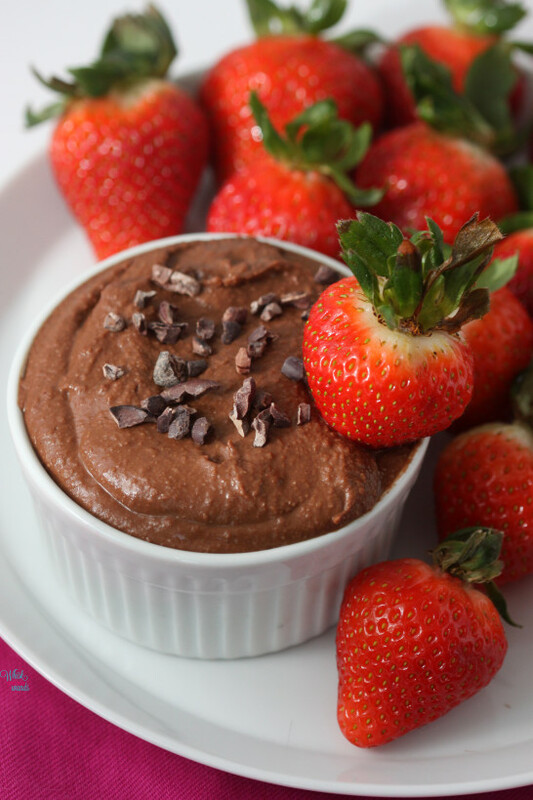 Not to mention a great way to get in protein and satisfy a chocolate fix! So being bummed the only thing I knew to do was go to the kitchen and bake the blues away, or in this case blend them, and what better thing to whip up then my own chocolate hummus. I think I can safely say it was a success when the only one in the house who isn’t a big hummus fan loved it! 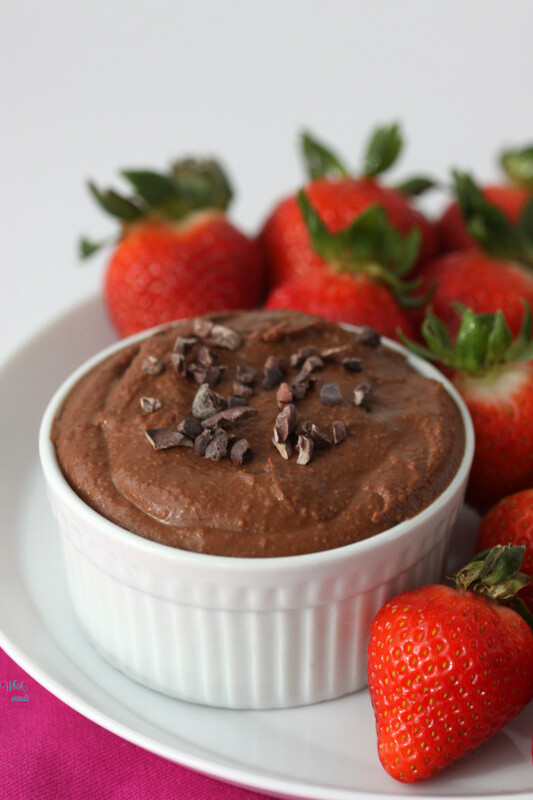 With that said I also have to say this isn’t like chocolate avocado pudding and won’t taste nearly as sweet, unless you add more maple syrup. I will say that I made two batches one with fresh almond butter and Justin’s Vanilla Almond Butter and I did like it with the Justin’s Vanilla slightly better but both were delicious! 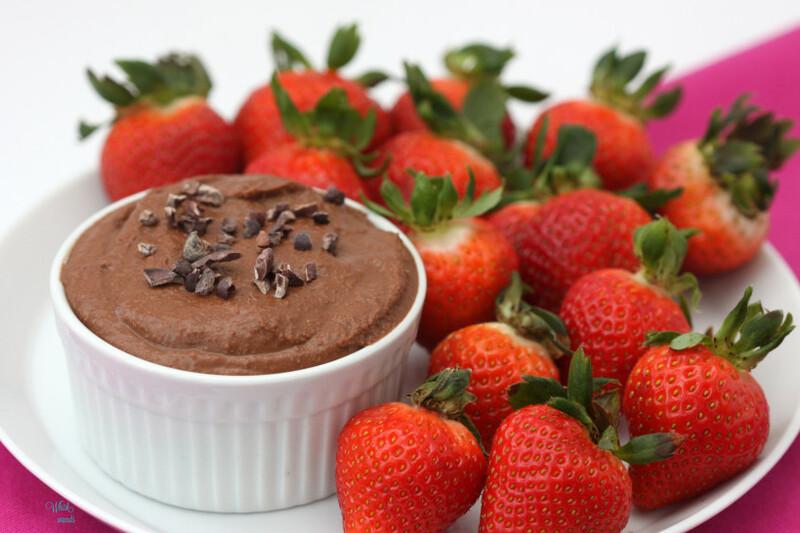 So what do you do with Cacao Hummus? Well you can dip things in it like regular hummus but think more fruits rather than vegetables, breads, or crackers. Spread it on a sandwich or wrap (hint we have one of those coming too!). The options are endless! Being a hummus fan I have been trying it on everything, try it on toast topped with avocado or berries it’s one of my favorites. The girls like to dip strawberries in it or like I said I have a wrap coming. 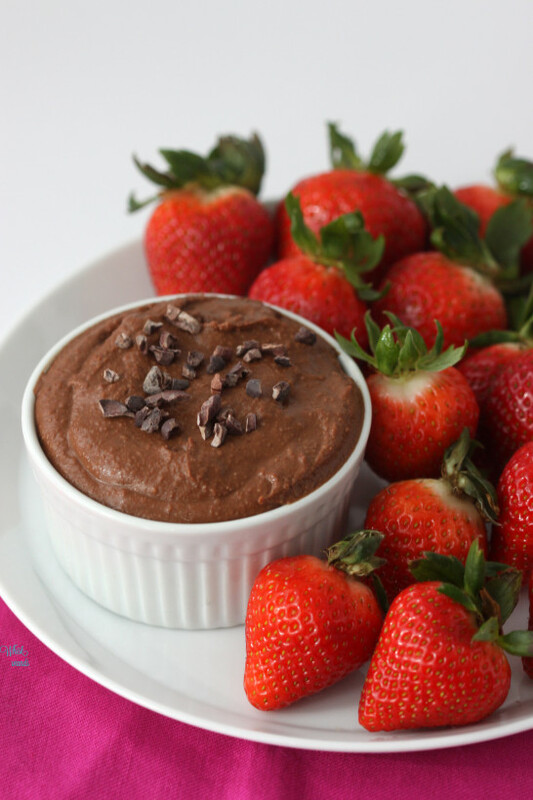 Have you tried the Hope Dark Chocolate Hummus? You must share with me how you like it! I’m determined to try it at Expo West next month or track it down when I’m in CA! 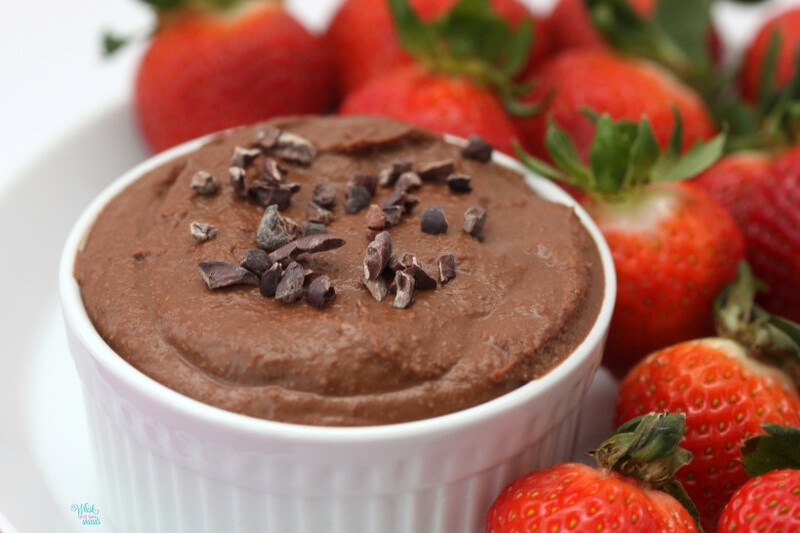 What would you pair with this Cacao Hummus? Blend chickpeas in a food processor for about a minute. Add in almond butter, maple syrup, and vanilla blend until combined. Add in cinnamon and cacao and blend, while blending stream in coconut milk starting with 1/4 of a cup adding more as needed to desired consistency. Store in an airtight container in the refrigerator and enjoy within 3-5 days. Mmmm let the chocolate dipping commence! My thoughts exactly, followed by what to dip first! I can’t take all the credit since Hope Hummus is where I got the inspiration, when I couldn’t get it here I had no choice but to whip up my own. 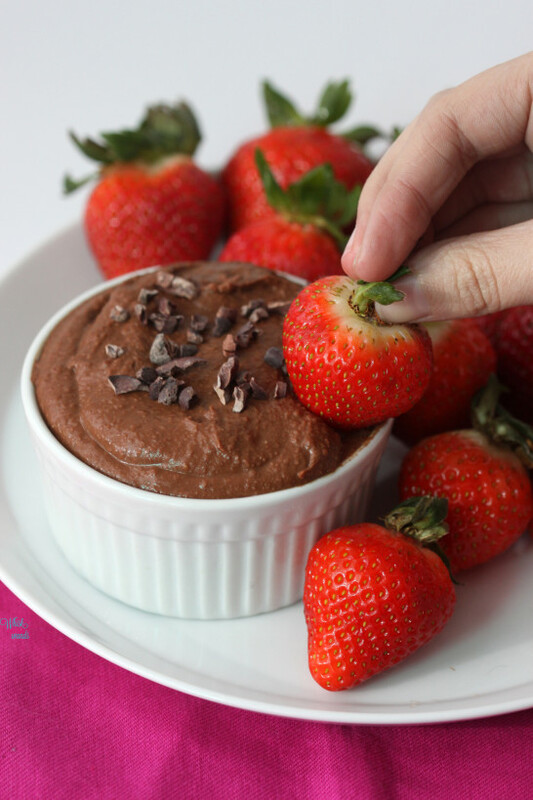 Chocolate hummus? This is incredible! 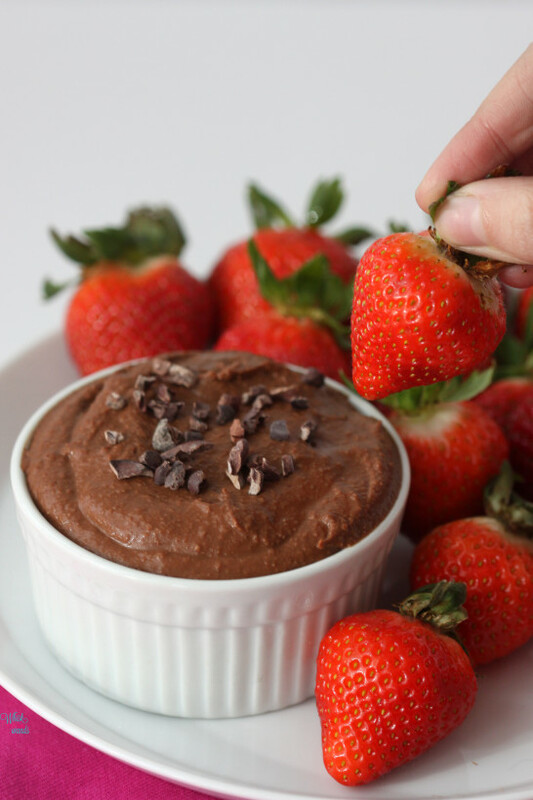 Such a perfect healthy dessert dip!